We are a full-service design-build contracting agency serving The Pacific Palisades, Brentwood, Santa Monica, and Bel-Air. 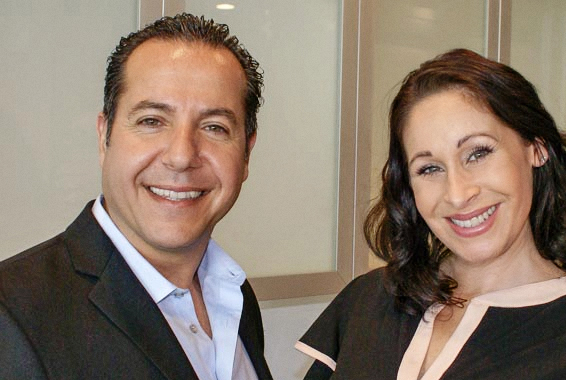 Hi, I'm James Khatab, president of Prosource Builders (and that's my good friend, Tamara). From the first handshake to the final coat of paint, I want you to experience The Prosource Difference. wide-eyed and full of wonder, and pretty much stayed that way ever since. I’ve always loved building things -- whether it was playing with legos and creating castles and spaceships, or constructing a clubhouse in my backyard as a young boy. As I grew older, I took a natural interest in my father’s construction business. I would accompany him to his job sites and watch him and his crew carefully piece together bathrooms, kitchens -- and sometimes entire houses. I fell in love with the entire construction process. I loved to watch old rooms get torn to shreds and then carefully pieced back together again. I think that my favorite part was seeing the exuberant reactions of his clients as their homes were transformed. That was when I realized that great remodeling can change people's lives. I’ve been hooked ever since. I applied for my contractor’s license in Colorado in 1996, and spent a few years doing historic renovations there. In 2001 I moved to California and worked as a superintendent for eight years. Then, in 2009, I decided to strike out on my own and put together Prosource Builders. I’m proud to say that we’ve since done millions of dollars in business and created a tidy list of happy clients that look to us for professional services on a regular basis. To be quite honest, it still feels like we’re only just getting started. I can’t wait to see where the future takes us.